A McAllen ISD Police Department drone takes off for a training mission Friday May 26, 2017 in McAllen. 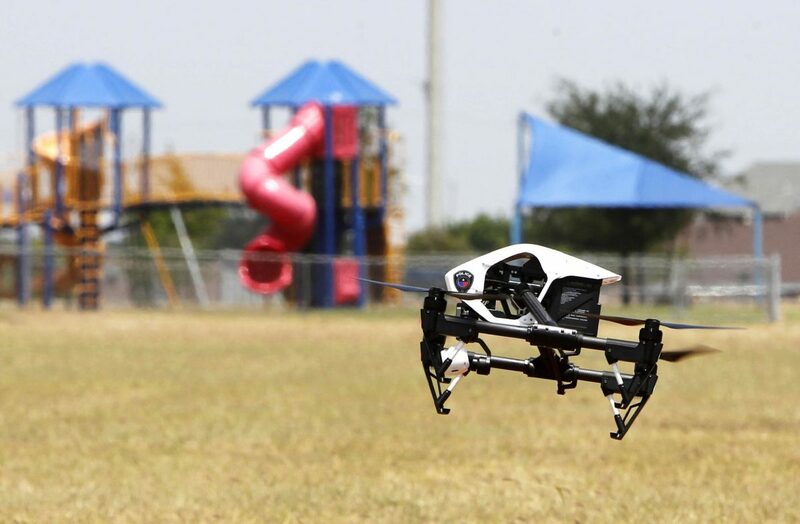 McALLEN — School district police officers here completed a months-long drone training program at Sanchez Elementary on Friday. 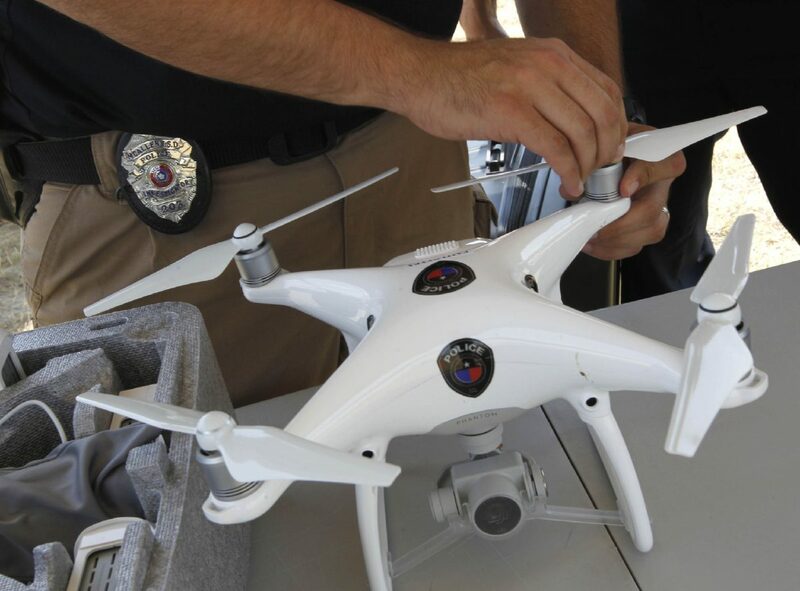 McAllen Independent School District Police Department's Luis Garcia assembles one of the departments drones before flying a training mission Friday May 26, 2017 in McAllen. Jesus Enriquez, right, and Luis Garcia operate a drone while looking for a suspicious bag during a training mission Friday May 26, 2017 in McAllen. 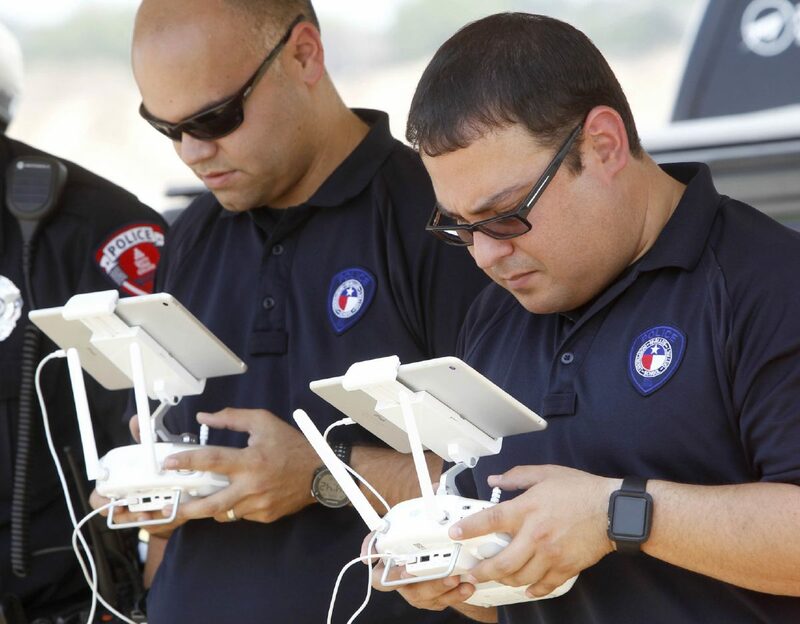 Before the FAA created new regulations last summer, the Austin Fire Department had already been operating drones to monitor and respond to wildfires for more than a year under a rare exemption that made it one of the first public safety agencies in the country allowed to use drones.